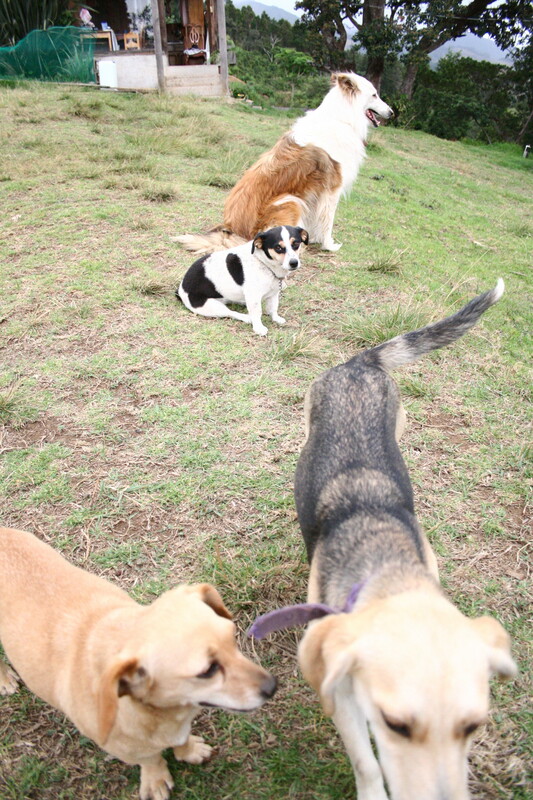 One of the best things about Costa Rica is how close together everything is. 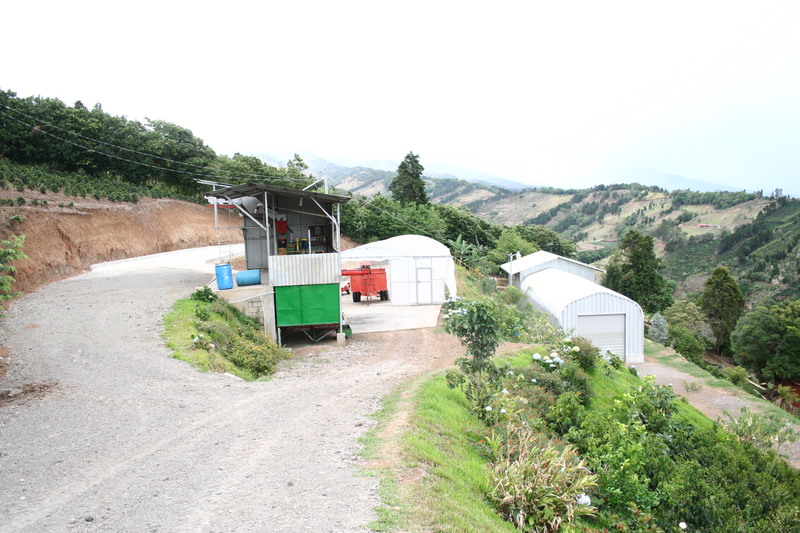 Distances between farms and mills are small, so you can spend less time bumping around on treacherous roads and more time visiting the people who grow the coffee you want to buy. 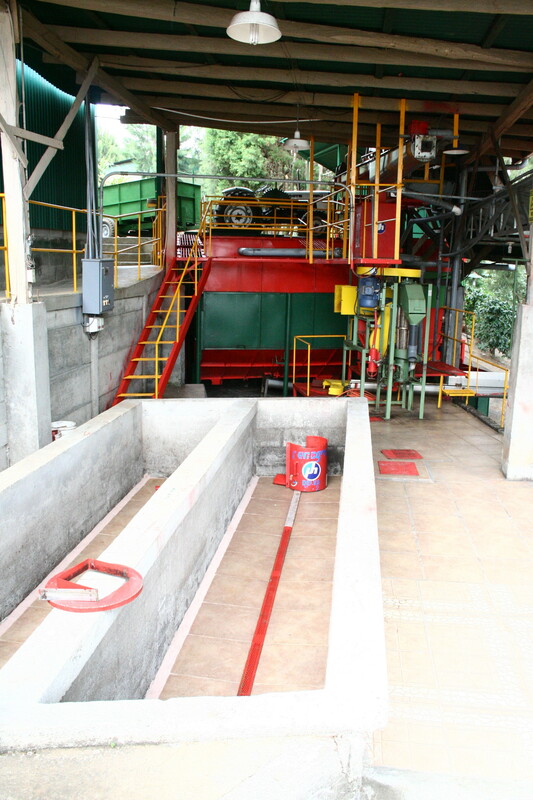 Take Lourdes de Naranjo for example, home to many of the very best micro mills in Costa Rica. This is where you’ll find two of my favourites, Herbazu and Genesis, minutes apart by car. 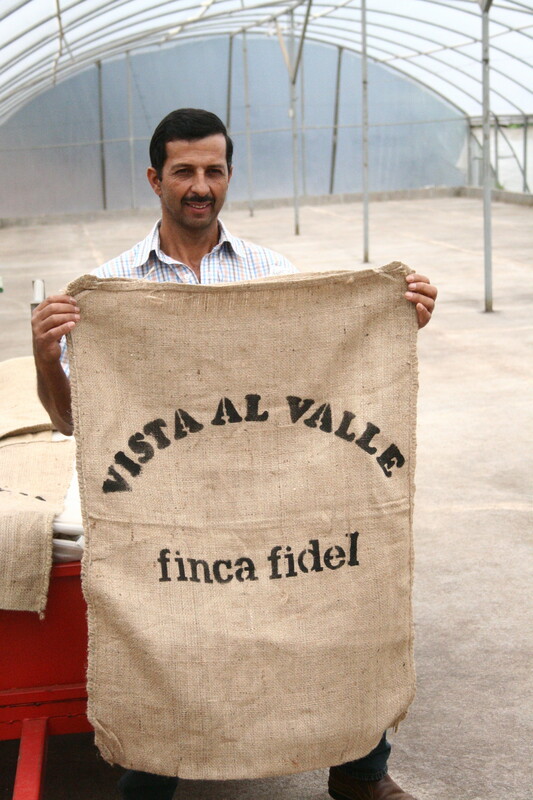 And minutes away from them again is a relatively new micro mill called Vista al Valle. Sadly we’re not buying their coffee this year but I had the chance to visit, and having sat with them at the COE awards and watched them take home three (!) awards, I was really keen to see how they’d set up such an impressive operation. 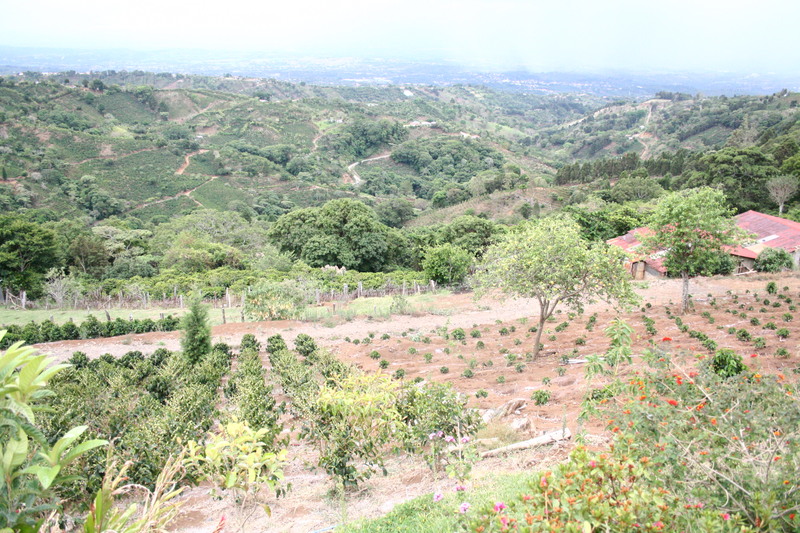 Vista al Valle might be new but both Marlene and Marco have been in coffee for years and come from a long line of producers going all the way back to their great great grandfather Florindo Seguro. He used to say that coffee was something special, because of the benefits it brought to many humble families. In those days there was of course no electricity or running water, and coffee had to be moved by oxcarts along bad roads. 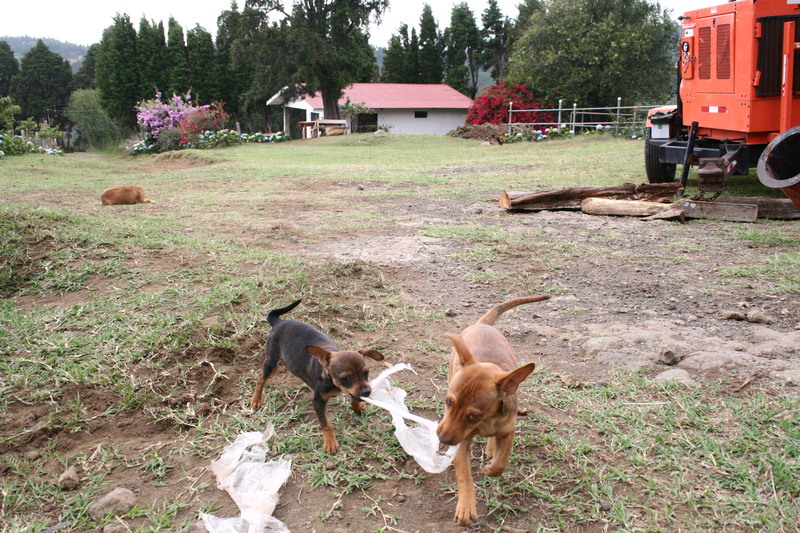 It took great effort to be a coffee grower, but they persevered and many members of the family were born on the farm. 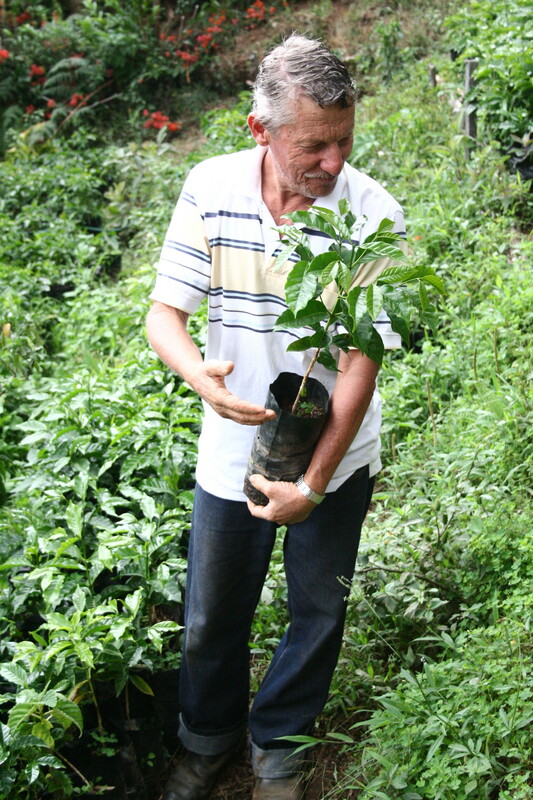 The current generation inherited their love for the land and the work from Florindo, and feel that the sacrifices have not been in vain, and that coffee definitely is something special. 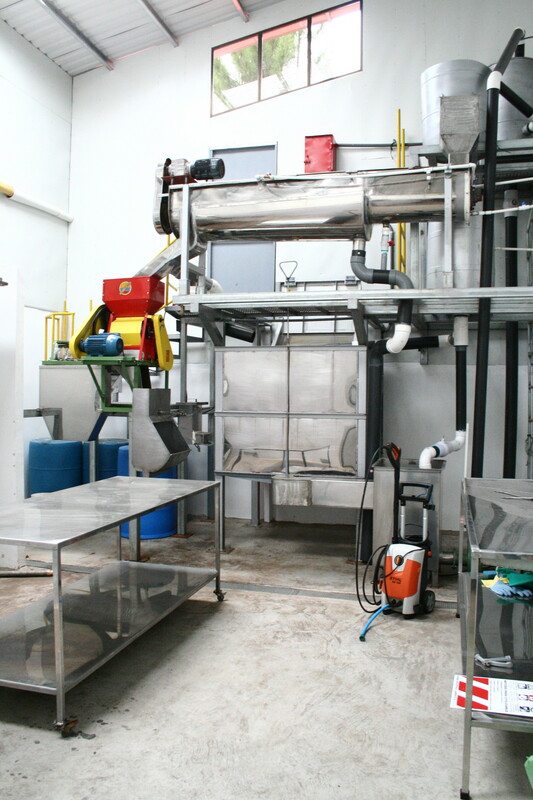 Coffee is their passion, and the mill was a project they’d wanted to do for years. The land used to be livestock pasture but with its warm weather and regular but moderate rains it’s also perfect for coffee production. 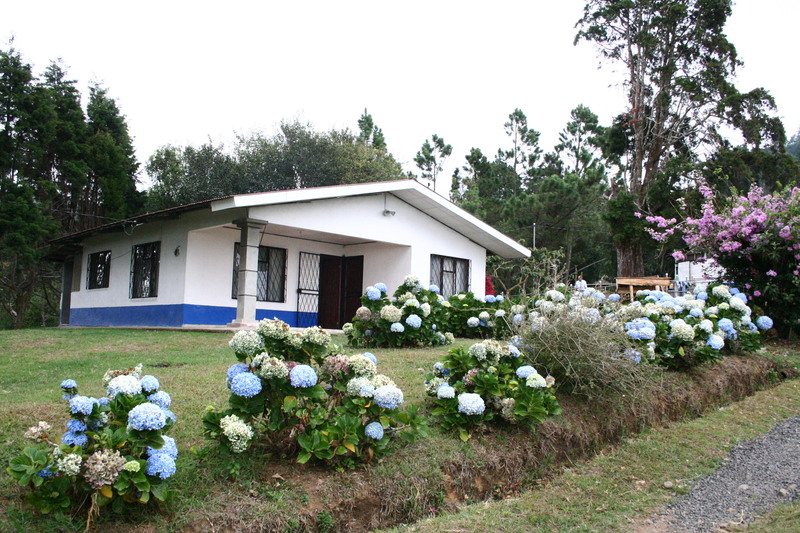 The volcanic soil makes for a rich source of nutrients, the river provides water for both humans and coffee, and natural woodlands full of parrots and monkeys on the farm make it a beautiful and peaceful place to visit. 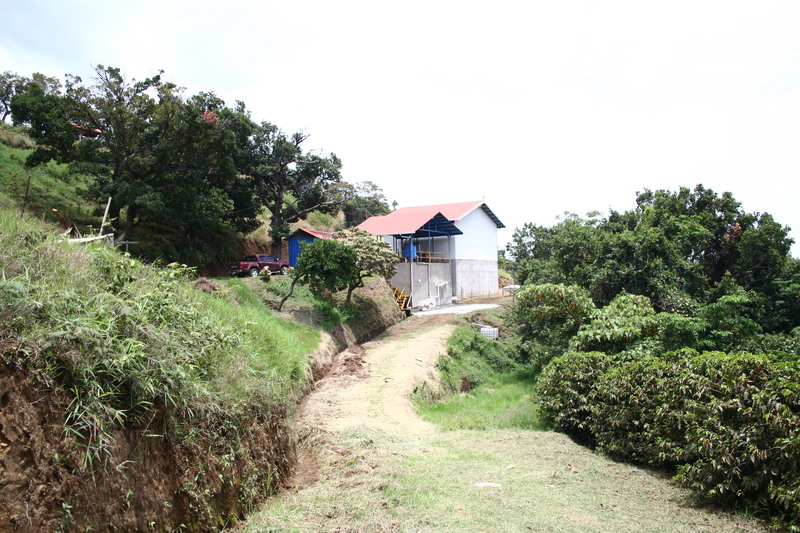 They now have three farms; Zapote, Las Casas (or Santa Lucia las Casas) and Finca Fidel. 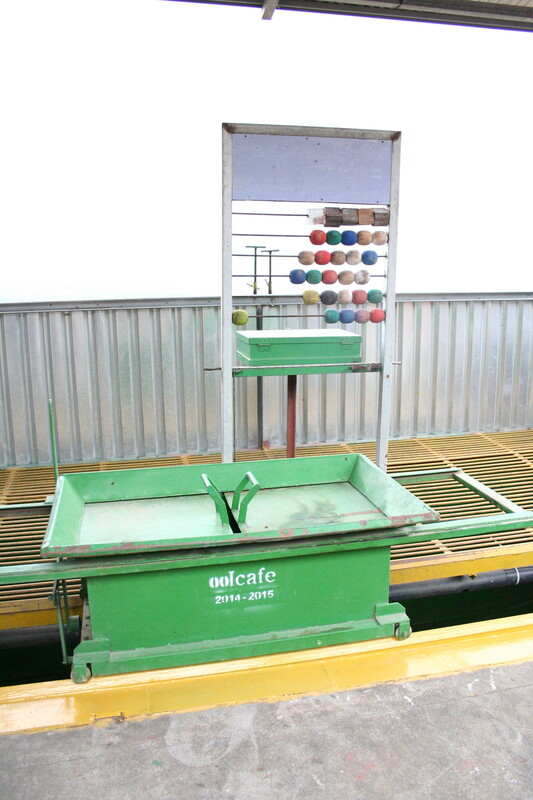 The latter was ran as two separate plots this year; La Montana and El Bosque, to suit their different management needs and allow for experiments with new varieties. 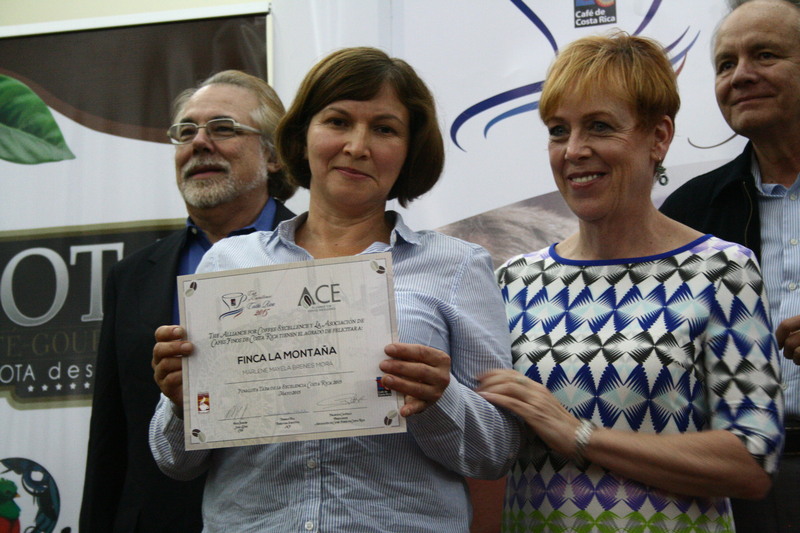 Having learned about milling by working and managing a neighbour’s mill some years ago, they set up their own mill in 2012 and immediately blew the competition out of the water by winning the Cup of Excellence in 2013 with Finca Fidel. They didn’t expect to win but were inspired and motivated to keep going. In 2014 they placed 10th with Las Casas, and this year they took 22nd with El Bosque, 8th with La Montana, and 7th with Las Casas. 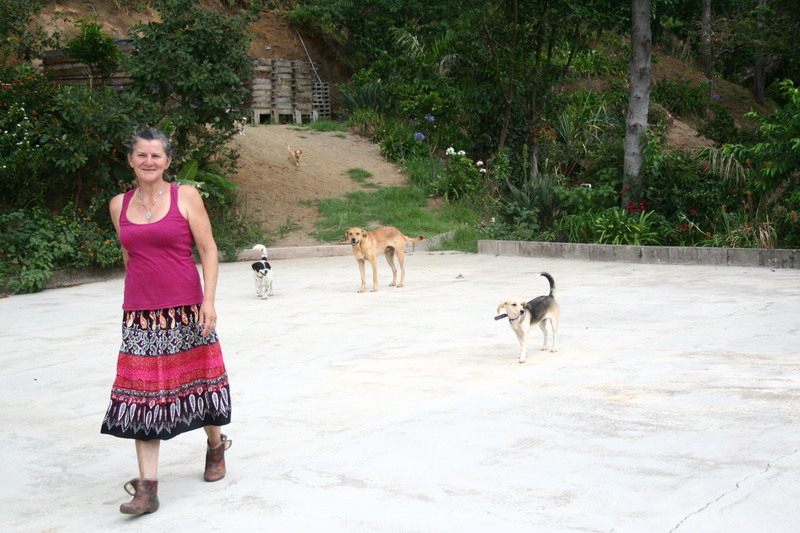 The mill is sat within Finca Las Casas, as is the family house and the accommodation for the seasonal work force. Unsurprisingly, the mill and greenhouse drying patios are beautiful and spotless, and true to it’s name has a beautiful view of the valley below. 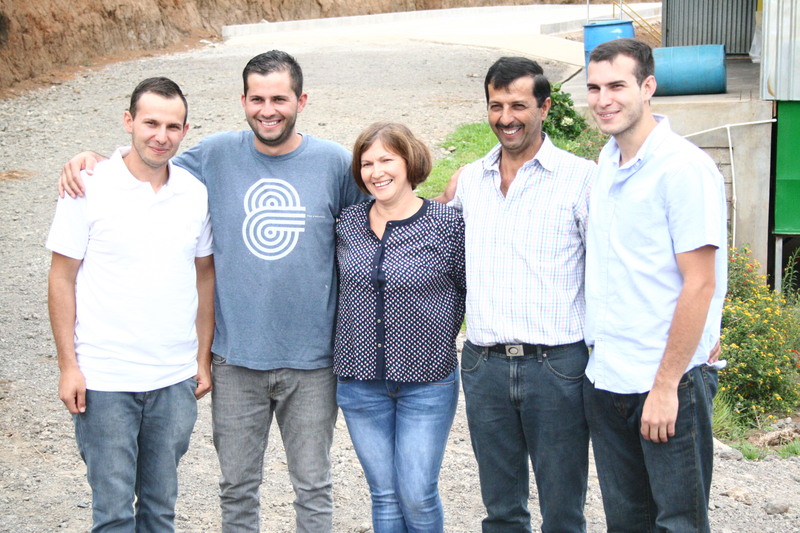 Together with three of their sons, one of them an agronomist, Marlene and Marco run a tight ship with yearly in depth soil analysis, low environmental impact rust protection programs, and ensure to maintain protected areas within their farms. 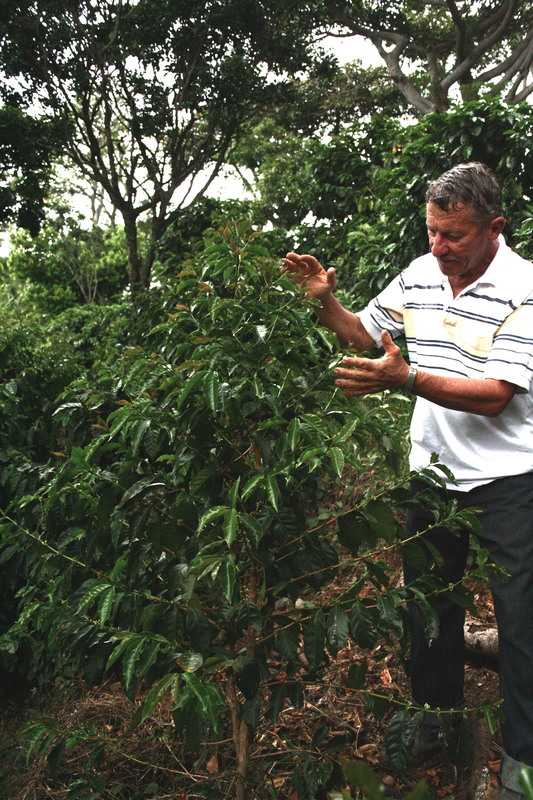 Just like many of their neighbours they grow a lot of Villasarchi, as well as a good amount of Caturra. They have also started to plant Bourbon, SL28, Obata and Geisha, and will be looking at Pacamara, Maragogype and Laurina in the future. 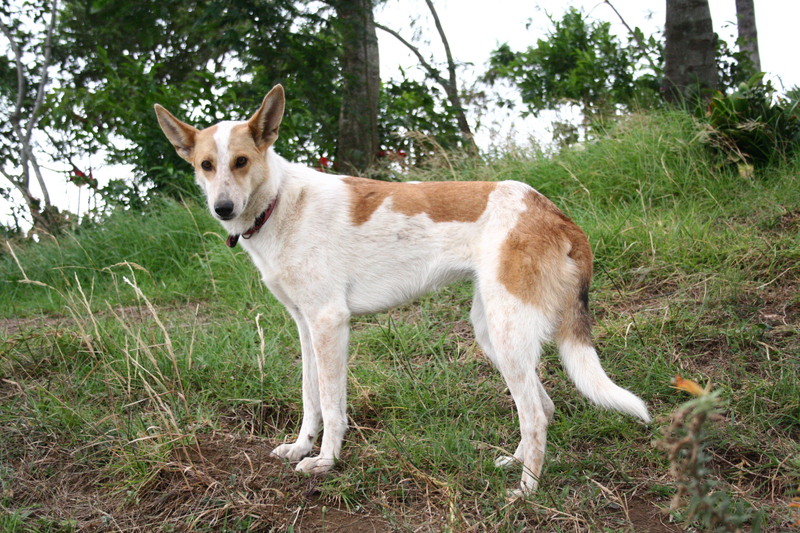 They want to have a selection of exotic and tasty varieties for their customers to try and see when they visit. While being treated to a selection of fresh fruits in their living room, I see the winning COE certificates proudly displayed on their shelves. As some of their neighbours pop in to say hi, Tonio from Herbazu included, you really get a sense for how close knit the Lourdes mills are and how well it works for them to band together for everyones advancement. Marco explained that while they were setting up their mill, Tonio was a huge help and quotes a local saying that he feels applies: “The person who loves what they do is blessedly condemned to success.” Marlene followed by thanking us for being there to visit, cup and buy coffee, and explained what an injection of excitement it was for them to connect with buyers, and how it motivates them to keep working through challenges such as rust and other diseases. The Vista al Valle family! Half an hour from Lourdes is the pretty town of Grecia with its famous red metal church, the Iglesia de la Nuestra Señora de las Mercedes. 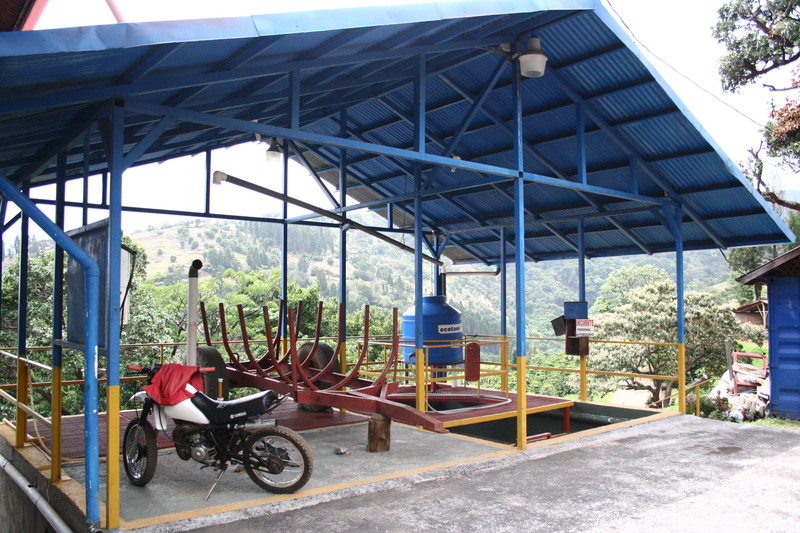 The town lies around 1000 masl, so climbing another 600 meters up the Cajon de Grecia ridge towards the Coffea Suarez mill offers spectacular views of the landscape. 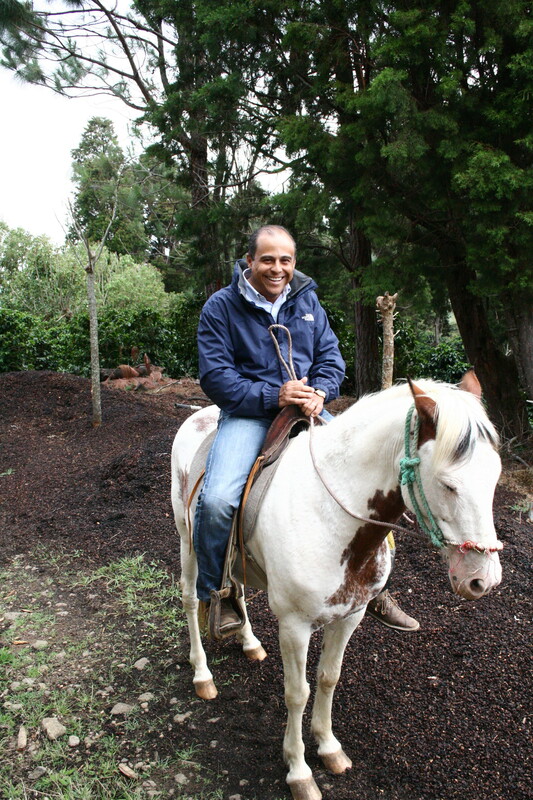 Moving from the sugar cane lowlands through the cypress tree forests to the coffee highlands, the air continued to get fresher and cooler. 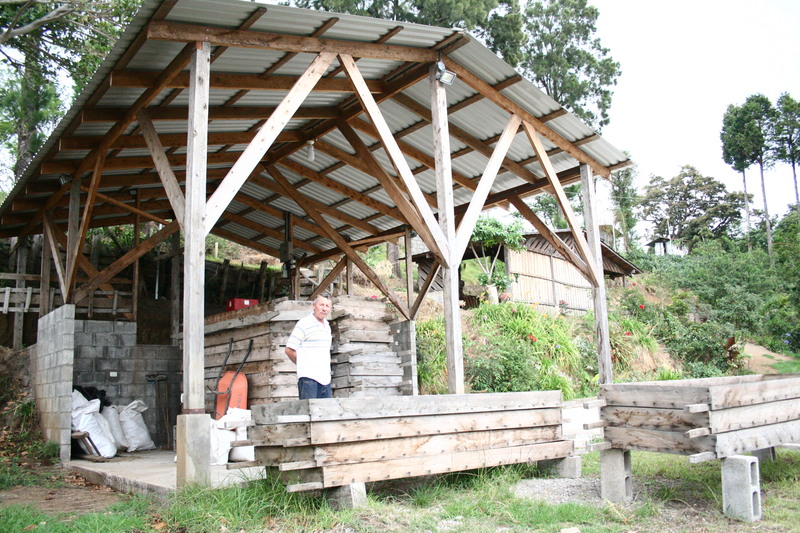 Grecia is relatively new to the micro mill development, but 5 years ago Gerardo Jose Suarez built this first one, and since then others have followed suit. 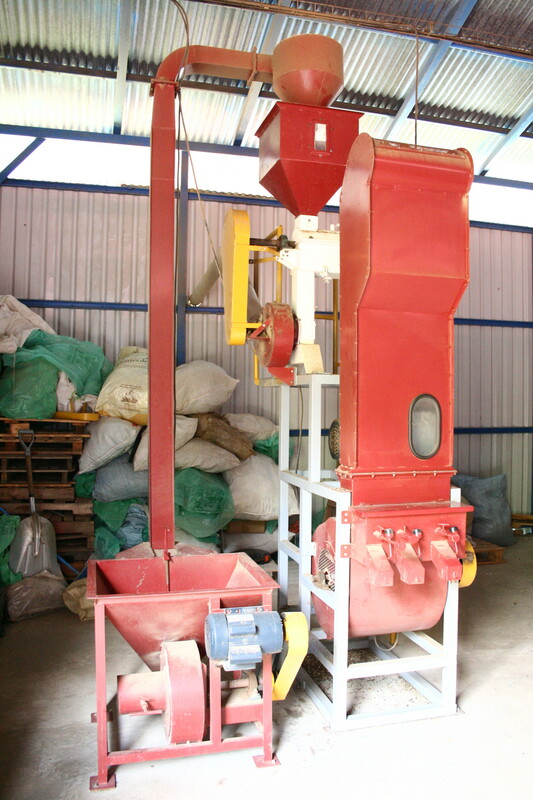 Bernal Cubero, the mill manager, showed us around the plant which was quiet after the busy harvest season, with much of the machinery dismantled for yearly maintenance. The farm is quite big, 60 manzanas or about 103 acres/42 hectares, and at the busiest time of harvest they would normally collect about 35 fanegas of cherry per day. It’s divided into 15 different plots, 4 of which were undergoing some acid level management following a recent soil analysis. The flowering had already happened so some areas were also receiving calcium and magnesium to prepare for the next harvest. Rejuvenation of old trees is also something that farms have to do at this time of year. Coffea Suarez mainly grows Caturra and Catuai, but in one plot of about one manzana they have planted some Sarchimor, which they’re trialling to see if it’s a viable variety for them. While it’s a high yielding plant, it also requires high input, and unless the cup quality is up to scratch it may not be worth the effort. Regardless, they’re gearing up for increased production over the next few years. 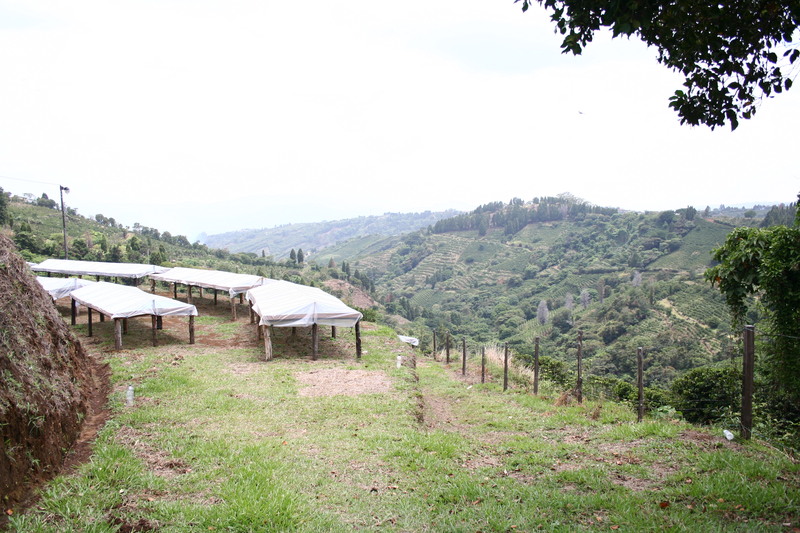 Into the sloping hillside the owners have built 20-25 covered drying beds, with terraces already prepared for another 15-20 to come. 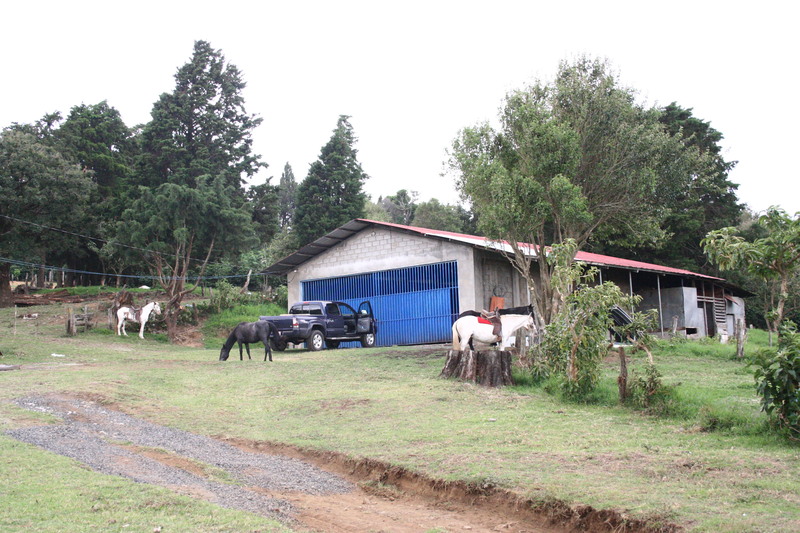 Gerardo owns Coffea Suarez with his two brothers and sister, but they all have their own busy careers so I learned that the farm was actually up for sale, for about $2 million. So if anyone fancies a farm and has that kind of spare change lying around, you know who to call! We look forward the arrival of this coffee, and you’ll see it as part of our Red Brick espresso later this year! 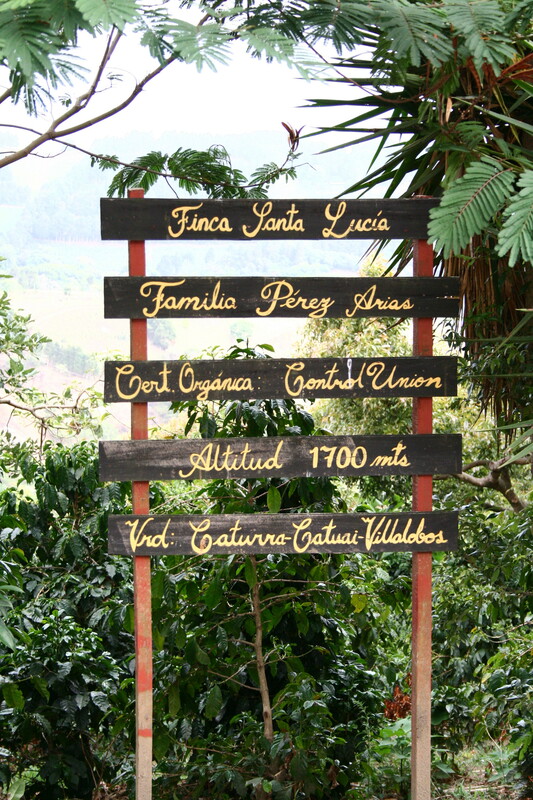 I look forward to visiting all the producers on my trips, but my heart has such a massive soft spot for Finca Genesis. It is just one of the prettiest places and has such great energy about it, and the owners Oscar and Olga are complete sweethearts. 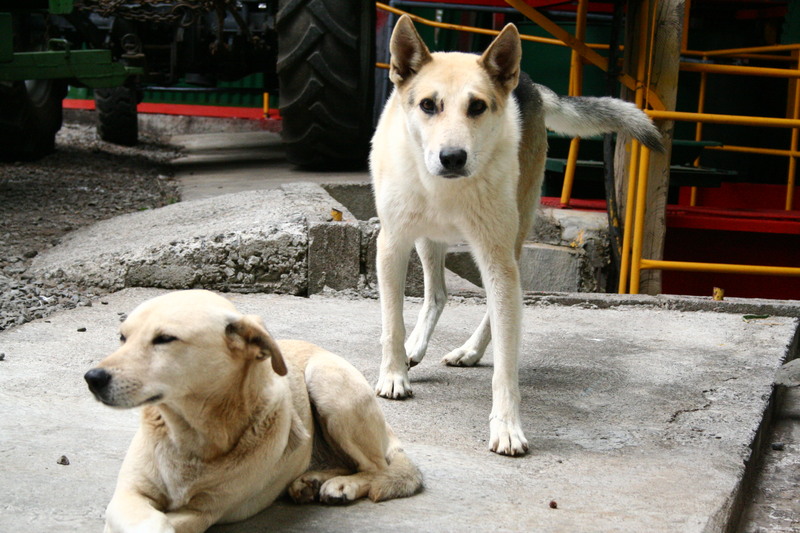 It doesn’t hurt that they also have dogs running around everywhere (there’s 11 of them! 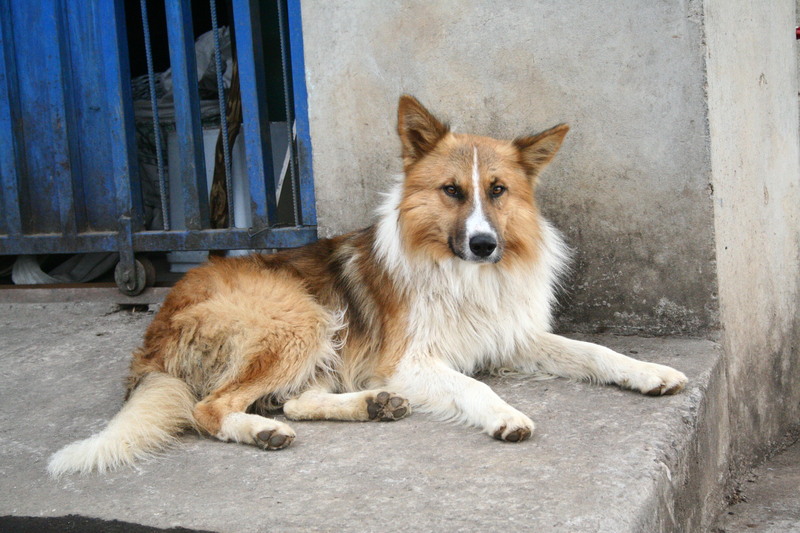 ), and as such my restraint about posting dog pictures thus far this post, is now all gone. 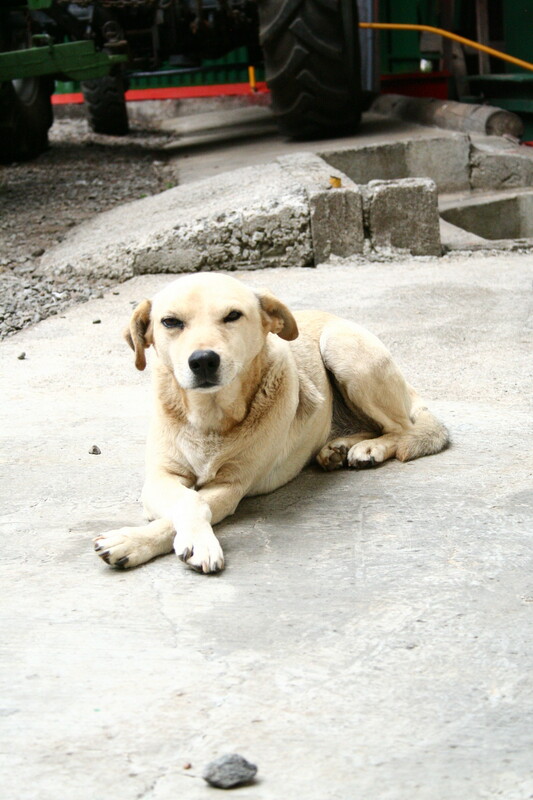 This guy loved posing for the camera! The farm was established two generations ago by Seraphim Acuña, who passed it on to his daugther Claudia, and now it’s in Oscar’s name. Together with his wife Olga they named it Genesis when they built their own micro mill, to reflect a new beginning for their family. 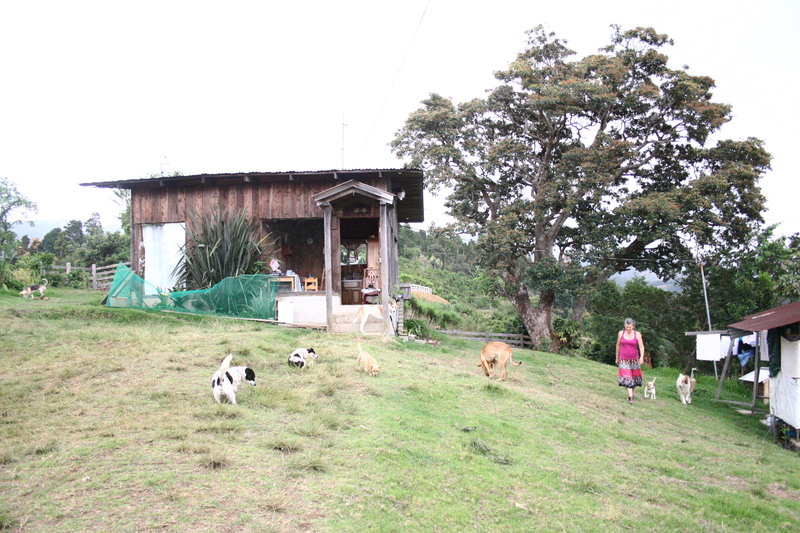 Their philosophy around producing coffee in harmony with the land and their surroundings is obvious when you drive up to their house. 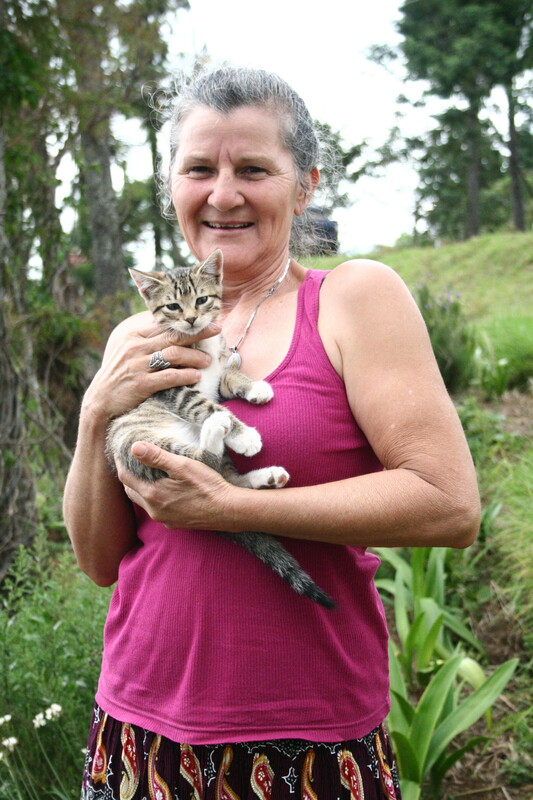 They have kept a lot of the natural flora untouched, they have a lot more shade trees in the fields than neighbouring farms, and Olga keeps an array of colourful ornamental plants to brighten up even the cloudiest of days. 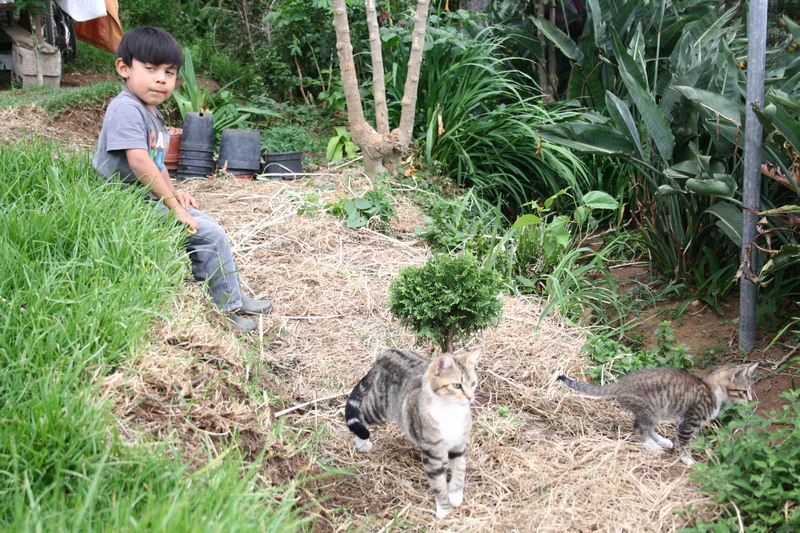 When I visted, it had rained two days earlier so they were waiting for their first flowering. 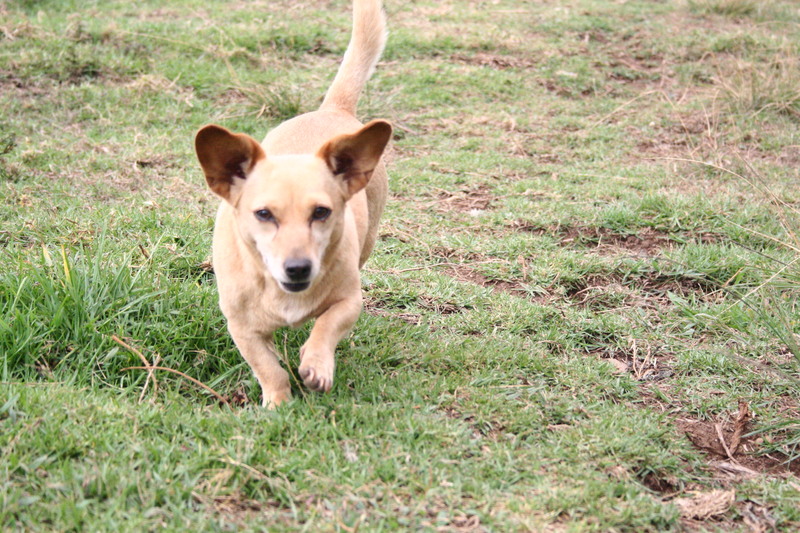 Oscar said that like clockwork, it would happen 11 days after the rain. He explained how the showers don’t last long, so the flowers are allowed to bloom and stay on the tree till they fall off naturally, meaning the budding cherries get to absorb lots of nutrients from the flowers. Oscar at the new mill. The old one in the background. Sunalini was at school, but her skates were ready for action! We took a walk around, checking out the mill and patios. 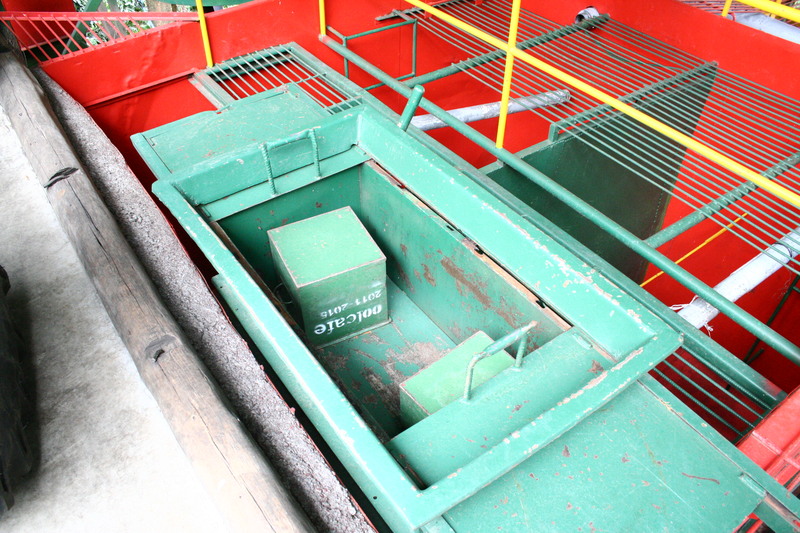 Last year, they upgraded their existing mill and built a larger one so they could accommodate their growth. 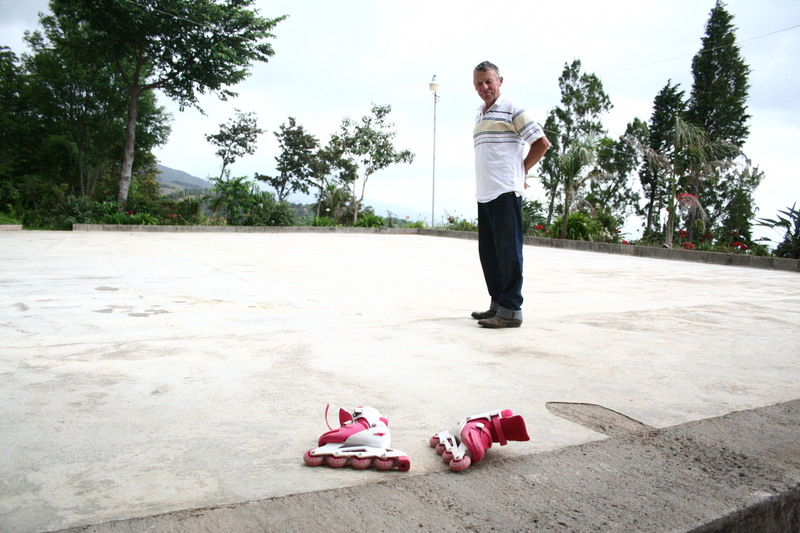 They have kept the concrete patio that was build by the previous generation, although now in the off season it’s mostly used as a playground and skating rink for their granddaughter Sunalini. When they decided to try raised bed drying they opted for using movable trays instead of building permanent tables, to preserve the grass and flowers on the terrace where the tables would go. It’s heavier work, but it suits their approach to conservation and disrupting nature as little as possible. 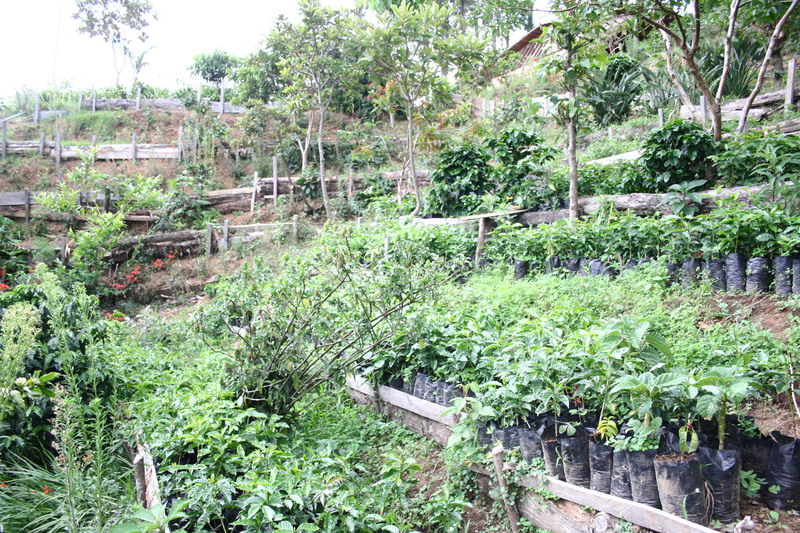 In the nursery they have wildflowers and grasses growing happily among the seedlings, and rows of young coffee trees looked like they were jsut about ready to be planted out. 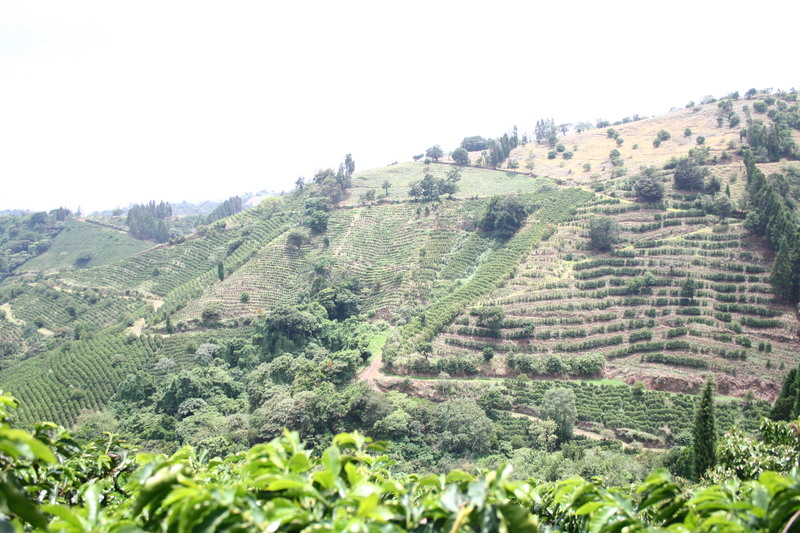 They have always planted a selection of different trees on the farm, and among others have Tipica, Catuai, Villalobos, SL28, Bourbon and Geisha to experiment with for yield and quality. 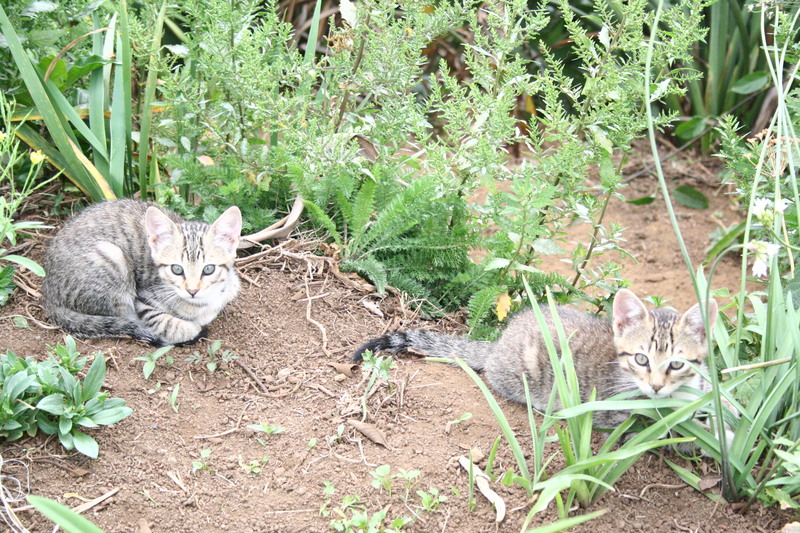 Oh, and did I mention, this year their cat had four kittens! 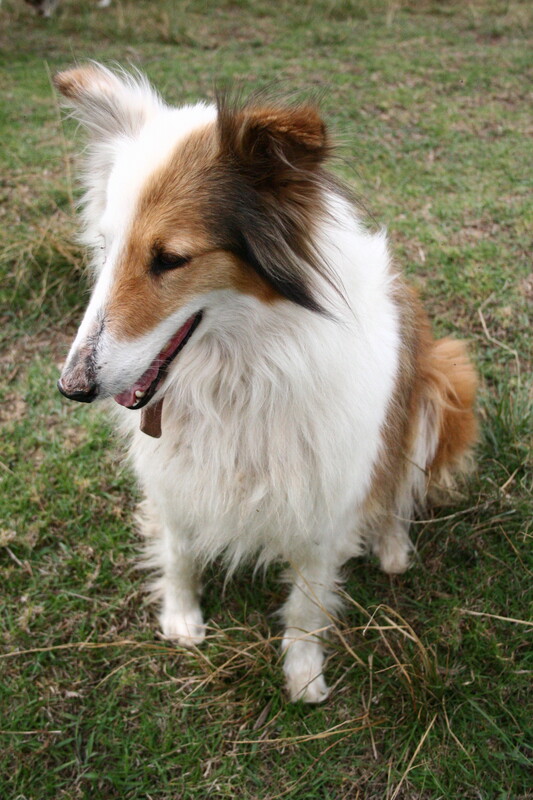 Herding dogs for photo ops, not easy! Visiting Genesis is always such a pleasure, between lovely people, coffees, cats and dogs it’s quite possibly the perfect day out. I’m really excited to get this coffee in house, I bought their red honey process Villasarchi and I can’t wait for everyone to taste it! 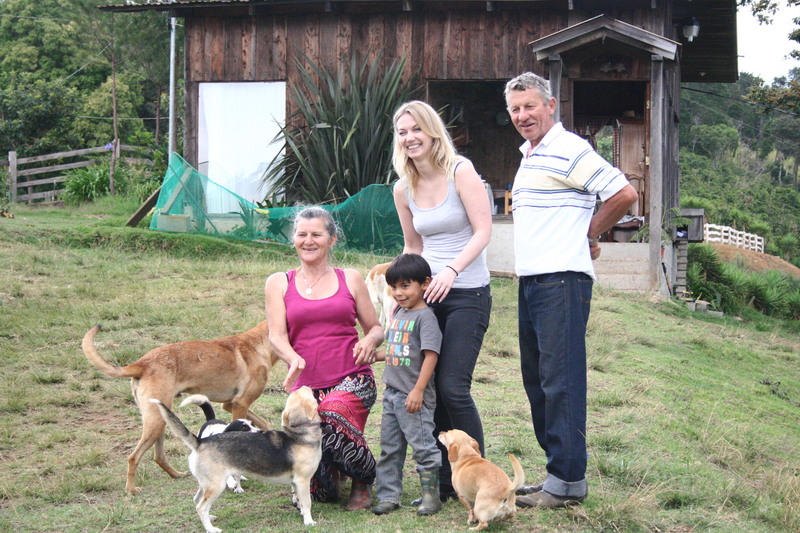 Last November, our friend and exporter Francisco Mena bought himself a farm. 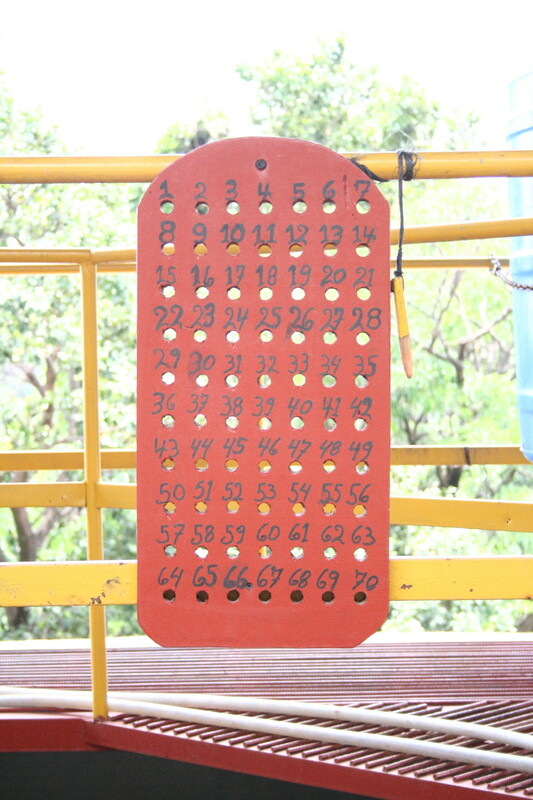 Then he placed 13th in the Cup of Excellence with one of the plots within it, so of course a look around was in order! 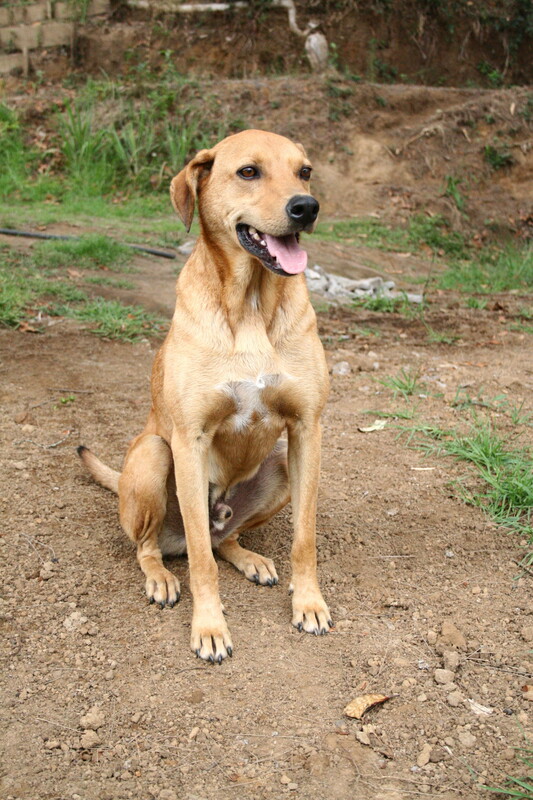 He has called his new farm Sumava de Lourdes, and the two plos within are called Monte Llano Bonito and Monte Lourdes. While we haven’t bought any of either this year, I’m really hoping to see them on offer next year. 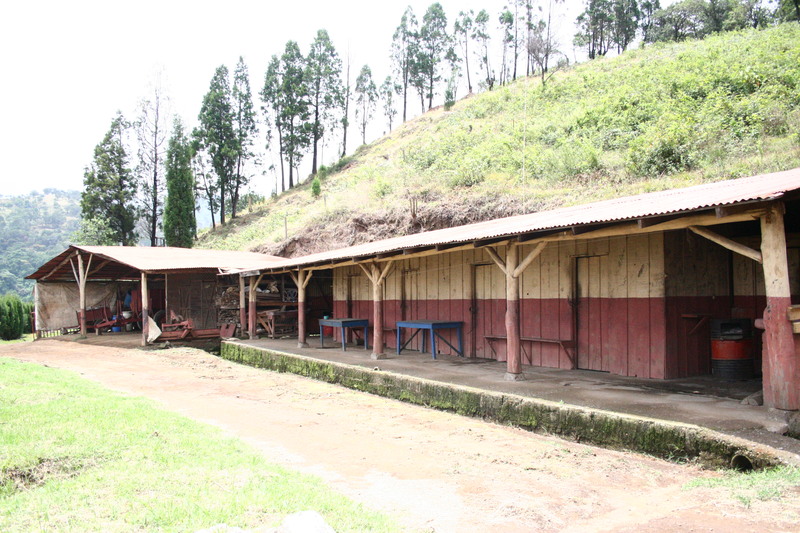 The farm sits between 1670 and 1790 masl, and has a lot of space to plant new trees in addition to the ones already there. 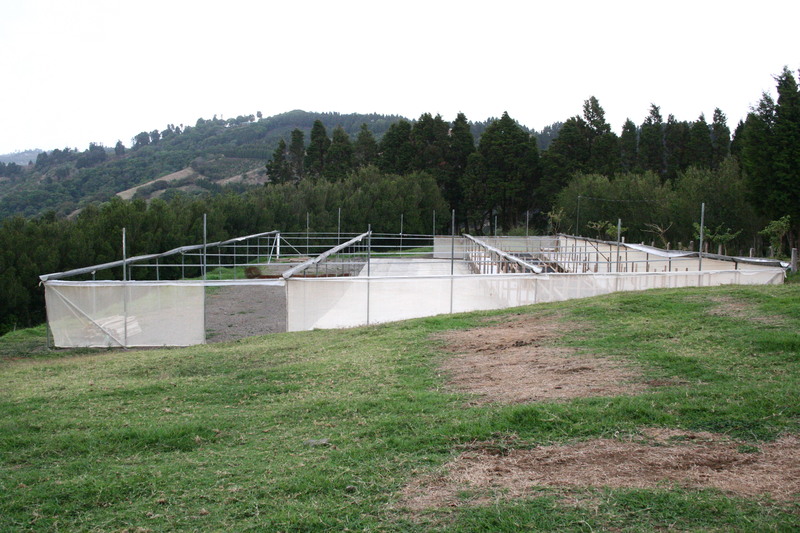 It has been established for years and as such has many of the necessary houses and bodegas, but new drying patios are being built and a wetmill is being lined up, not a small amount of work for anyone. 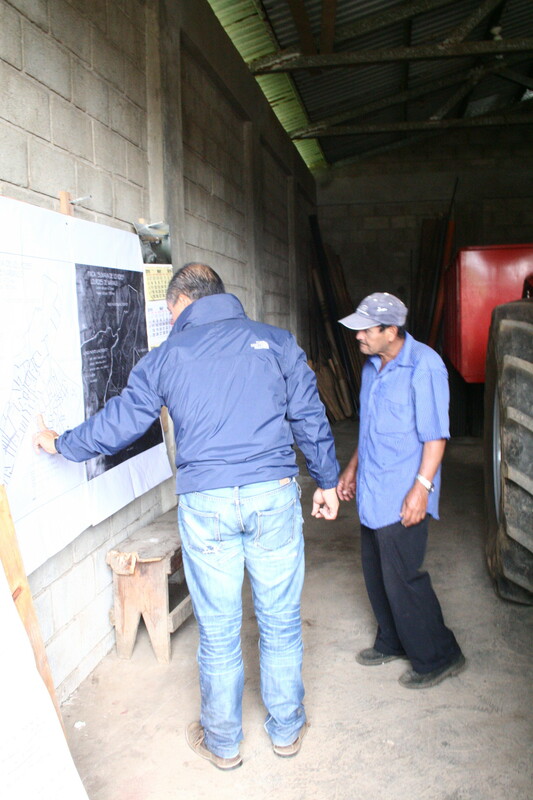 Helped by experienced farm manager Jose Ordonez and a team of full time employees, the walls of the bodega were full of drawn up plans for pruning, fertilising and general maintenance. 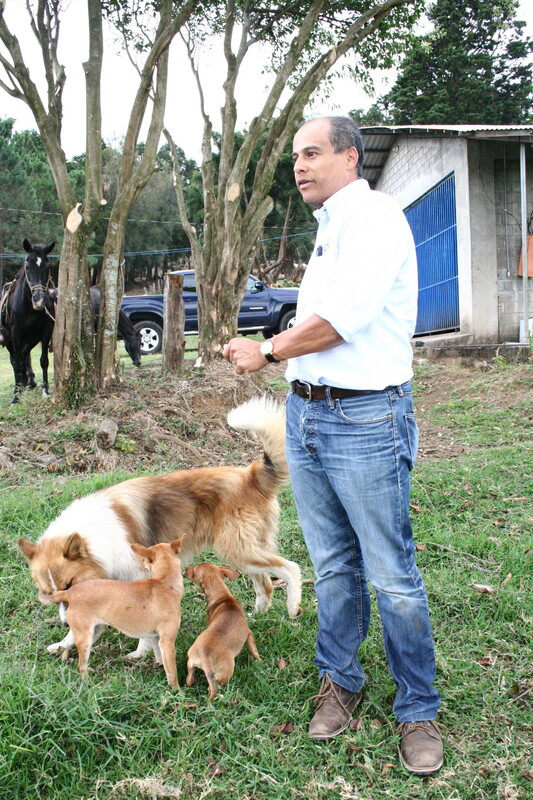 Francisco and his great farm dogs! 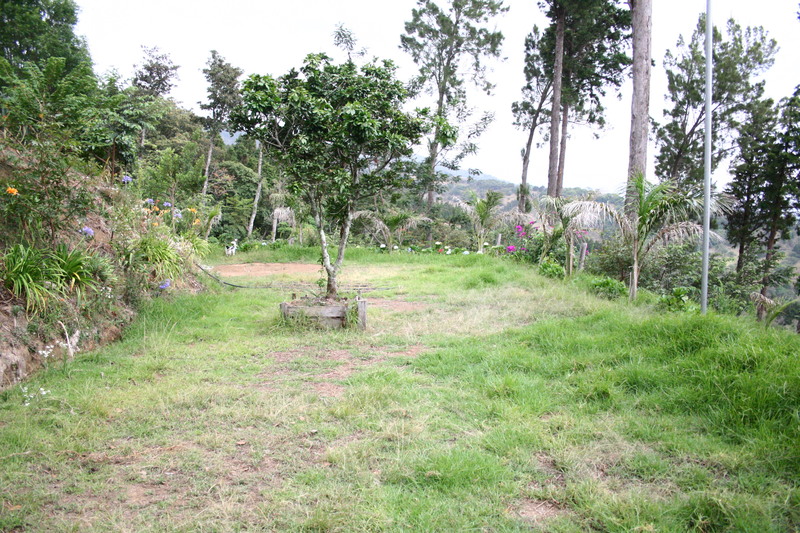 Much of the area used to be cattle grazing land, and a lot of trees had to be cleared to make room for new coffee. 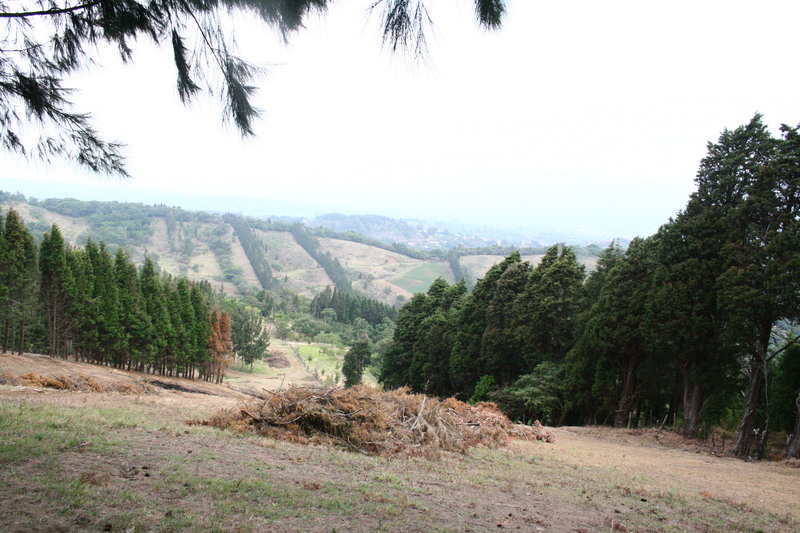 Large areas are reserved for forest, as preservation and balance of natural resources is always at the forefront of Costa Rican agriculture. At Sumava, instead of burning the felled trees, they use a wood chipper to chip and compost all the organic matter. 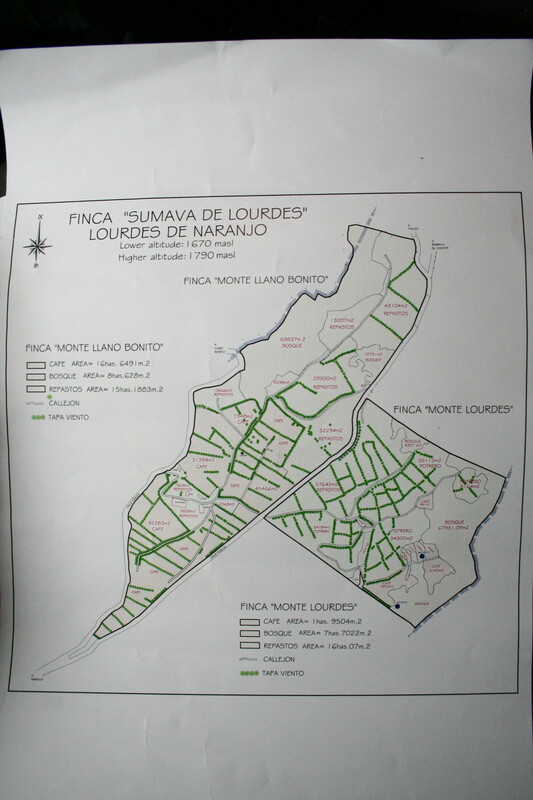 Planning for a mix of various varieties, they intend to start by planting the plots that catch the most morning sun. Some 10 hectares of Villasarchi, a couple hectares of SL28, maybe a hectar of Geisha, all neatly divided by tall cypress trees acting as borders and windbreaks througout the farm. It’s a big property, but thankfully there are established stables at Sumava and I never turn down an opportunity to go horse riding, so we went for a ride to see it all! Definitely need to come back and see this guy next year! 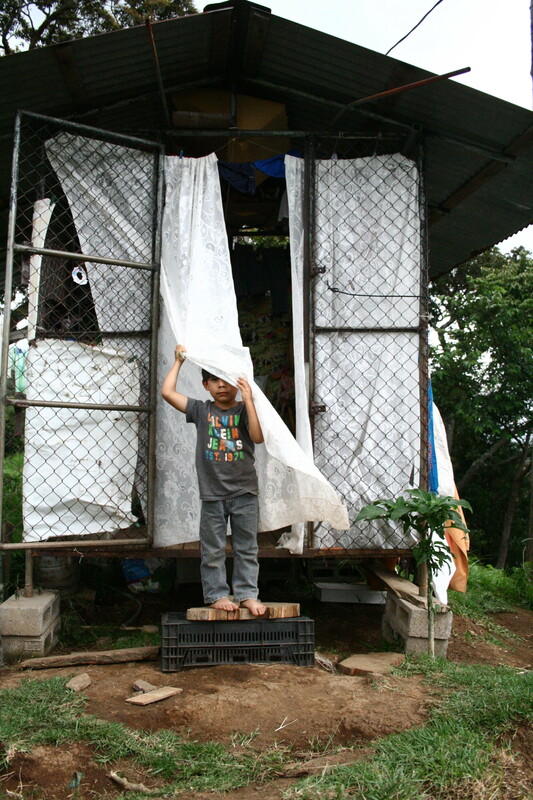 It will be very exciting to follow the progress of Sumava over the next few years, and hopefully it won’t be long until we can share some of the results of Francisco’s hard work with you! The last mill on my trip around the West Valley was Helsar, where Ricardo Perez Barrantes and brothers Marvin and Felipe Rodriguez mill for their own farms as well as many neighbouring ones. We’ve bought coffee from them for several years and this is always the mill where I get served the best cup of coffee! 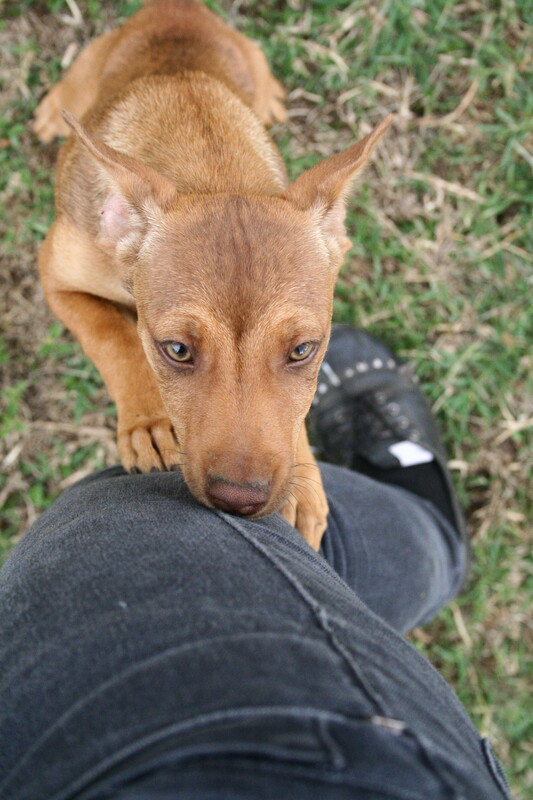 I was really happy to see Queso Crema again and even somewhat managed to make friends with the new addition to the mill. 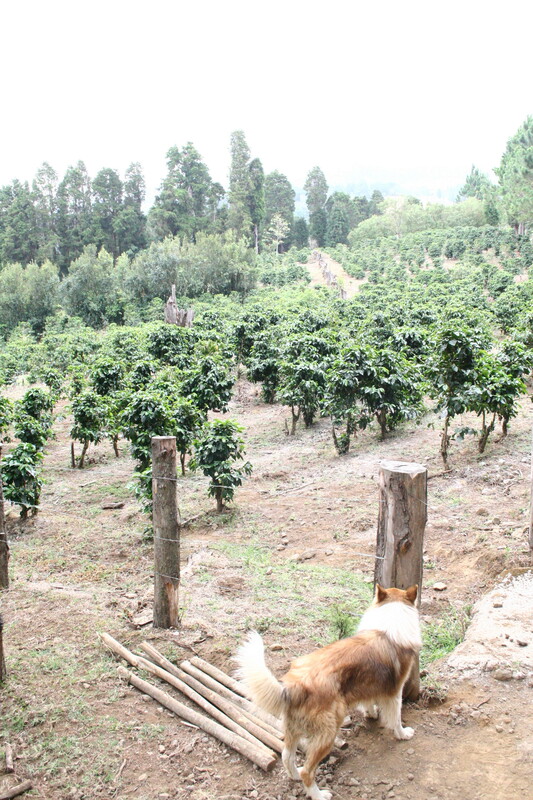 Santa Lucia placed 12th athe COE this year and harvest for next year is already off to a good start. 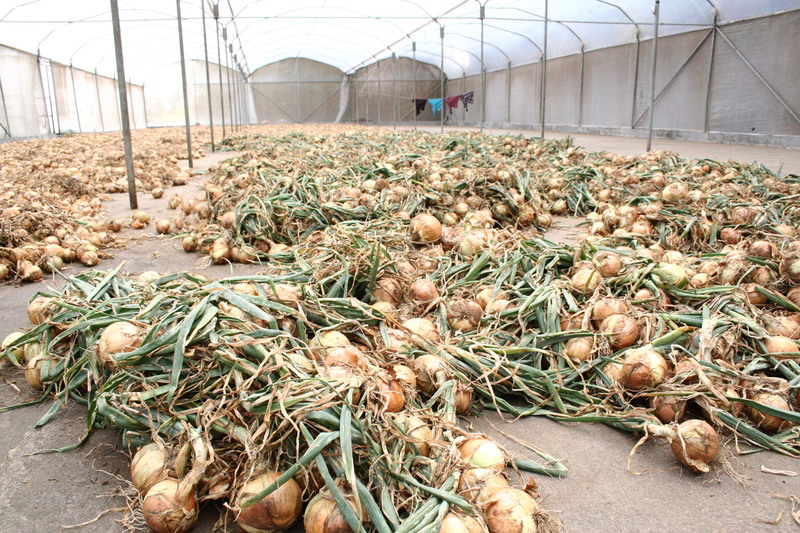 Thirty percent of the farm has already flowered, in three stages a couple of weeks apart. Ricardo was expecting more rain on the weekend, and was really pleased with the staggered ripening of cherries this should lead to. For the pickers it means they can take their time and pass through the farm several times, selecting only the very ripest cherries, instead of having to cover a lot of ground in one busy pass. 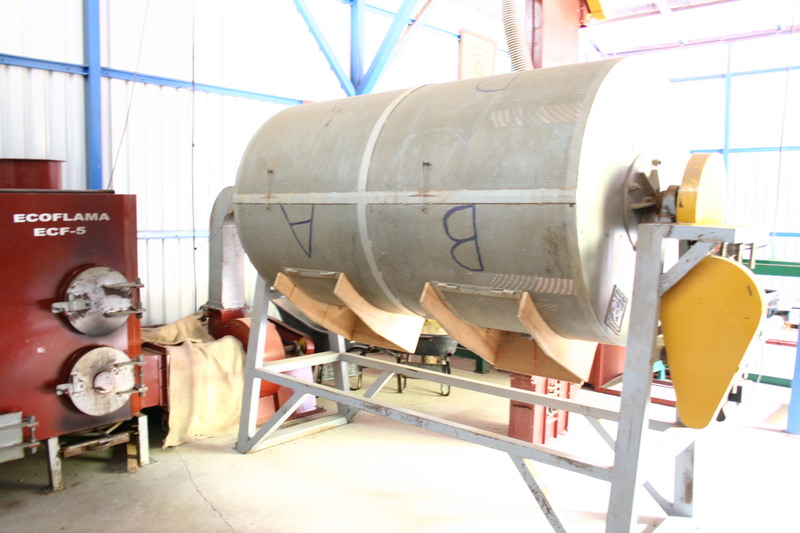 New this year at Helsar is a cascara processing plant, built in collaboration with the univesity, in order to do research into alternative ways of keeping milling waste product from contaminating the rivers. They began with trying to get useful colour pigment out of the skins, but discovering how rich in antioxidants the pulp is, they changed the focus to alternative food and beverage uses. In a beautiful new warehouse, Ricardo is turning the pulp from Santa Lucia into organic cascara, in a 20 hour process that washes, steams and dries the skins down to 5% moisture, ready to ship. We wish them the best of luck with further research and look forward to seeing more of their cascara, and coffee, in the future!